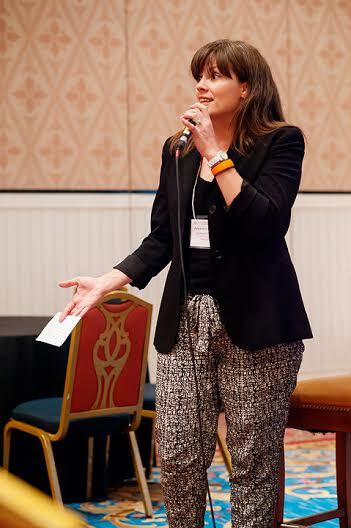 I spoke about Creating a Mission Statement during the Type-A-Parent conference boot camp in Walt Disney World. It was a mastermind conference for bloggers and specifically parents who blog. As a work at home mom, I am always drawn to these events because it’s important to be surrounded by people who not only work like me, but are also in a similar life stage. When you can learn something and have fun at the same time, I call it a win! 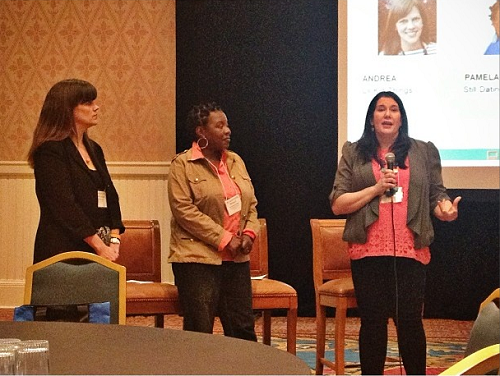 I really enjoyed being on the panel with fellow working moms, Ellen Gerstein and Pamela King. We each brought a different perspective to the table and the result was a casual conversation about why we blog with some tips for crafting a mission statement. Because we aren’t simply blogging for fun, it is important to have a mission statement. Even when you blog primarily as a hobby, if you ever have the intention or dream of making even a little bit of money, blogging either already is or is becoming your business and it needs to be treated that way. You already know what you write about, but as time goes by and opportunities increase, it will be helpful to have a framework for decision-making. This is the funnel through which all of your business decisions are made. Essentially, your mission statement serves as a snapshot of what you are about to brands and potential clients who may want to work with you. It also keeps you on track when it comes to creating content over and over again. Without totally rehashing the presentation, I wanted to share some helpful takeaways to use when crafting your own mission statement. A mission statement should define you/your brand and serve as a lens through which you make your business and blogging decisions. Just is a Four Letter Word is about my life and parenting young children. I use it as a platform to get freelance work and other opportunities, so my mission statement includes family focus and desire to encourage and inspire other parents in everything I do. It is also part of my mission to “be home and available for my children”, which means working many hours outside of the home is not an option for me right now. When I pitch brands or apply for opportunities, I ask myself if the content aligns with the topics on my blog, and also how much time it will take away from my responsibilities as a working parent. When I am facing a business decision, I match it to the principles in my mission statement to be sure I am not straying from my path. Saying no when I need to has been the best thing I could do for myself, my family and my business. Saying no today opens the door to a future yes. In short, don’t try to put a square peg into a round hole! If it’s a fit, you won’t have to force it. 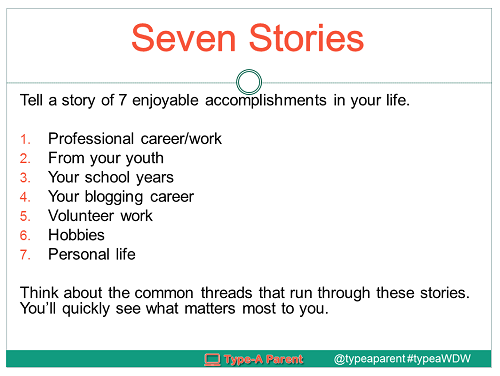 Probably my favorite slide was the “Seven Stories” exercise from Ellen. The idea is to find themes in your own life and background and apply them to your current projects. This allows your authentic self to shine through your blog and ground you to “the why” behind what you are doing day after day. One story I told was about the time I was forced to change a flat tire for the first time on the side of I-95. I was 19 years old and had no cell-phone service and no one stopped to help. I learned then and there about resilience, resourcefulness, and hope (and a few other choice words); all qualities I rely upon in my parenting journey. These are also qualities I weave into almost every post whether it’s a parenting hack, a quick and easy recipe or work life balance tips. Want to give it a shot? Answer these seven questions for yourself and look for themes throughout. You will quickly see what matters most to you and can incorporate it into your mission statement. I bet you will uncover some pretty great strengths you may have forgotten about! We get so used to going through life experiences and moving on to the next that it becomes too easy to miss the common thread. Once you discover that thread, you’ll be amazed at what fits into your wheelhouse. I can write about things like work, travel, family, or entertainment and still have a coherent website. Because in all of those things, what I am really saying is, make time for what matters to you and enjoy your life! And I can say that with passion because I am living it. Your mission statement is the foundation of every decision you will make. Once you have that framework in place, you can move forward with confidence that you have a clear understanding of who you are, what your blog is and what you actually want. And you will be able to communicate that to others with ease. Free printable Captain America activity sheets! You were fantastic– such a clear, even speaker. Major kudos and pats on the back and awkward hugs and all that jazz. You did amazing! Loved the session. Great post!! I will now start thinking about my mission statement! I love this! I had no idea you were speaking! You look so natural, gorgeous, and radiant in that picture. Wish I could have been there.